Mar, and it’s titled Tonno Trancio Intero. 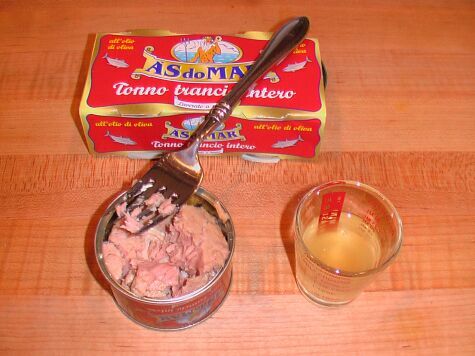 (lavorato a mano), packaged in olive oil. pleasant surprise to this old can-diver. I couldn’t have said it better myself! The label text seems to be in eye-talian, not Portuguese? The important question, though, is this: how did the cats like it? White tuna before cats?? That’s like… pearls before swine! I have just returned from a trip to Italy where I tasted something called “prosciutto di tonno” which was just wonderful. Have been scouring web looking for it. Closest I have come is your website where it appears that some of this wonderful stuff was part of a gift from your wife. Would love to know where/how she got it and would be greatly obliged. Just came back from tuscany,where they sell this brand in the supermarket. Good quality, way better than what we get here in Holland. And my cat likes it just fine. But she likes any kind. Hi, I just stumbled onto your website – this Tuna is fantastic but hard to find. I buy it by the case from Ceriello Fine Foods (available on the web). 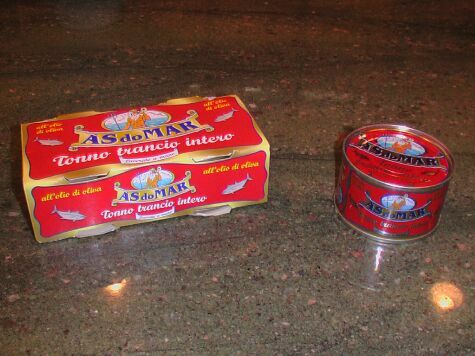 Right now I’m eating from a can of AS do MAR but mine is Filetti di Tonno. It opens like a pull-tab sardine can and has 2 lovely filets in it. I agree with your review of the oil and the fish. I love tuna and this is something truly special.